Do you want to improve the look and function of your smile but can’t bear the bulk of traditional braces? There’s an alternative to metal braces called Invisalign®, which is an almost completely clear set of braces that can effectively correct many dental issues without the conspicuous look of traditional metal braces. To see if this alternative to metal braces is the best treatment for you, discover the five cases where Invisalign is ideal. Gaps in teeth are due to the abnormal growth of the jawbone, as well as missing teeth that create extra space and cause nearby teeth to move. In addition to affecting your appearance, gaps in teeth can also contribute to gum problems and a higher risk of periodontal disease. This occurs when there isn’t enough space in your jaw for your teeth to fit properly. If not corrected with clear braces, the overcrowding can worsen and leave other teeth very crooked, as well as lead to tooth decay and an increased risk of gum disease. This occurs when your lower front teeth extend in front of your upper front teeth. It can be caused by many factors, including the overgrowth of the lower jaw, the undergrowth of the upper jaw, or many missing upper teeth. Since this can lead to pain and problems with jaw function, you should see an Invisalign provider as soon as possible to discuss treating the trouble with clear braces. This happens when your teeth do not make proper contact and leave you with a space between your upper and lower teeth. It can impair the way you speak, as well as cause severe jaw pain and disorders like TMJ. 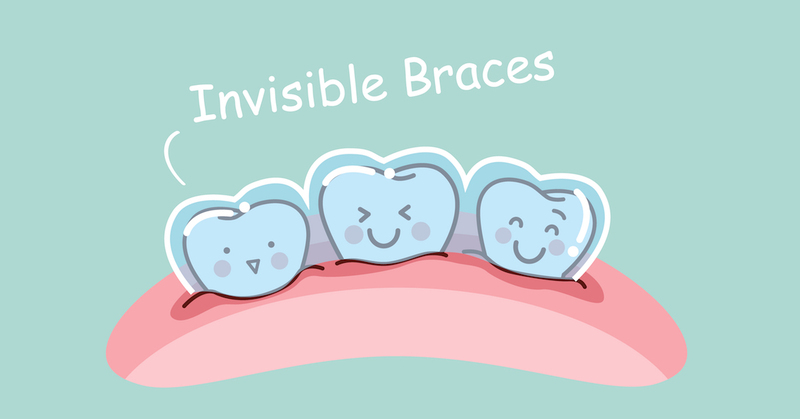 When your upper and lower jaws are misaligned, this makes it impossible for your upper and lower teeth to meet. A case of crossbite can lead to tooth erosion, gum disease, and eventual bone loss. If you are experiencing any of these problems, seek out an Invisalign provider as soon as possible to correct these issues and save your smile. To get the dental care you deserve from an affordable dentist in Virginia, call Dental One Associates of Virginia today at (855) 979-3337 or make an appointment. Dental One Associates offers affordable family dentistry and gentle, compassionate dental care in Virginia. With 6 affiliated practices throughout Virginia, our offices are conveniently located with extended hours to meet your needs. At Dental One Associates of Virginia, we provide most dental services, from basic preventative care and general dentistry to specialized procedures and complete dental reconstruction. We accept most dental insurance plans and offer affordable financial solutions for any budget. Patient satisfaction is our top priority and we strive to provide the exceptional, affordable dental care and personal touch that lead to lasting relationships. A smiling patient is our greatest reward and we look forward to keeping those smiles healthy, beautiful, and bright. Discover an affordable dentist who truly cares at Dental One Associates of Virginia. The dentist helped my fearful son thru a cavity and extraction and made it all no big deal. The staff at this location, are very professional, friendly &most helpful.Dr Vallaru is the Best!!! Great interaction with the staff. Very friendly staff, always prompt and excellent treatment. All of the staff are caring, professional, and go out of their way to ensure that your experience is a great one! Caring and professional. Looking for a dentist? Can’t say enough good things about Dr. Z! I had an extraction done. The treatment and care was nothing less then excellent. Dr. Z and his staff are some of the best. Easy to get appointment. Good knowledge and service. Accepts insurance. Excellent, friendly service and value. They are attentive and nice staff. Not at all disappointed. Everyone was professional and kind!!!! Always professionals, nice and they take good care of your smile. Very professional, gave me the price up front, dentist was personable and friendly.